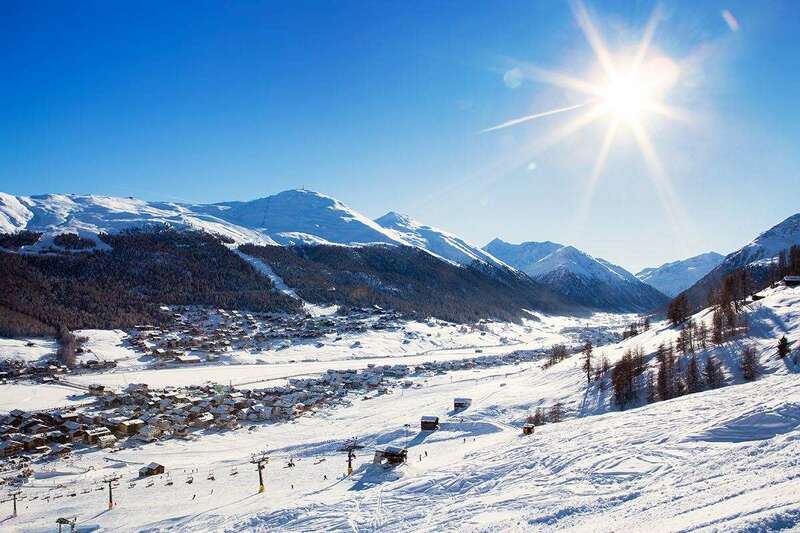 Hotel Amerikan is perfectly located in the San Rocco area of Livigno to make the most of the ski domain due to its ski back location and proximity to lifts. Having recently been completely refurbished in modern mountain style, The Amerikan offers high standards of accommodation, cuisine and service. This contemporary hotel boasts excellent leisure facilities to unwind after a day of skiing. The hotel’s bar (also open to the public) leads to a spacious sun terrace – ideal for aperitivos and afternoon refreshments. Massage and beauty treatments available (pay locally). Twin rooms in 3 star annexe (10m away) are more simply furnished and do not have balcony. 'Comfort' rooms in the main building have bath or shower, balcony, TV, telephone, safe, fridge and hairdryer. Superior rooms are also available and come with shower. Four-course evening meal with a salad buffet and a choice of starter, main and dessert.